Slight font size increase on iPad Pro 12"
We have added some really useful new capabilities in this release. Swipe to the right on the search bar to dismiss the search bar keyboard. This is very useful on the iPhone which has no keyboard dismiss button. You can now specify non-operating accounts in the chart of accounts. The app can now support things such as showing the before and after tax profit amounts on the profit and loss report. Change your "Income tax expense" accounts to be a "Non-Operating Expense" type instead of a normal "Expense" account type. You will then get a gross profit total on the report followed by a net (after tax) profit total on the report. The expense budget report layout has been updated to include clearer titles and a budget amount remaining column. The job facility has been enhanced with an "Inactive" job indicator to retire old jobs from the jobs list while retaining them in the system for historical purposes. We added an app setting to allow the remembering of prior search criteria to be turned on or off as required. The default is for this facility to be turned on. You can now email any of the reports in either PDF or CSV format. You can also use the "Open with..." function with either the PDF or CSV format. The CSV files can be opened in Excel or Numbers or your other favourite spreadsheet program. The pricing groups capability has been enhanced to allow you to specify prices on inventory, products, and services based on date periods as well as by currency. So you can now specify change over pricing ahead of time and the program will pick up the appropriate price for the item when used on sales or purchases. If you specify an item date on a line item then that will be used to determine the price to use, otherwise the sale (or purchase) date will be used. We have added an "Add Item" button to the header section for line items to allow you to quickly add line items without scrolling to the bottom of the list. This is available on the sale, receipt, purchase, payment, and general journal screens. We have also improved some existing capabilities by reducing the memory required to perform certain memory intensive tasks. The new Field Hints toolbar button will help you to learn what the various fields in the App are for. Tap the Field Hints toolbar button on key screens to show the hints for each field. Tap it again to hide them. Searching just got easier. 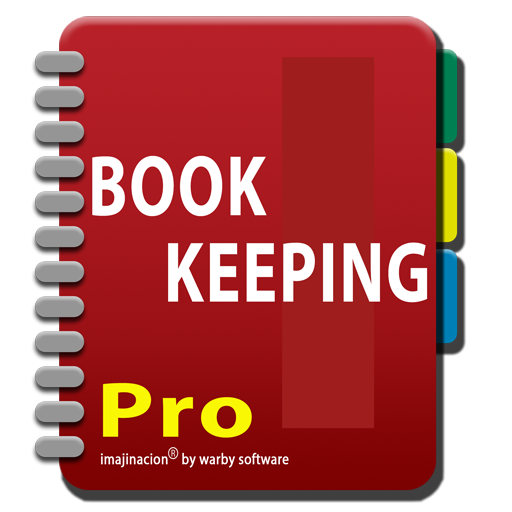 Bookkeeping4 now remembers the last search term you used, ready for the next time. We also added a search cancel button for when you change your mind. Time and Materials data entry via the sales screen just got quicker too. Press the "+" button to add a new line item and the item date is automatically advanced by one day on the new line item. This is great for contractors and consultants who bill on a daily basis. The calendar picker has been updated to allow quick selection for today or return to the currently selected date. Display reports in a list with sections instead of as menu buttons. Detect accounts that are missing an account name and report these. Added additional bank account types of Owners Equity and Owners Loan. Fixed the Job Activity Statement relating to additional charges. Fixed the Job Activity Statement relating to cash reporting when using accrual accounting. Fixed so that fuzzy match uses the bank transaction date instead of the sale due date for receipts. Fixed so that fuzzy match skips bank transactions that occur in locked periods. Fixed so that auto match skips bank transactions that occur in locked periods. Fixed legacy issue dealing with incorrect time zone adjustments on records. Fixed so that the tax bands file is not cached when fetched from the server. Enhance: Make optional whether references are exported for accountant. default is no. Removed advanced setting for Dropbox multi account as this is no longer supported by the Dropbox API. Information message when trying to delete sale line item and sale has been paid. Information message when trying to delete purchase line item and purchase has been paid. New Dropbox sync outbound batch processing to reduce file numbers and improve speed. New App Settings for dropbox batch sync processing to turn it on/off and set interval. New setting on Sync Settings screen to turn batch sync processing on/off. Allow viewing of the app log file from the About page. Fix tax code records that have a missing tax code. Allow editing of the recurring fields even when the record is locked. Allow postal code data entry to be configured for either letters and number or numbers only. New Minimal Theme for iOS7. Fixed concurrency error in bank reconciliation items bulk processing functions. Fixed issue with payment generated by Quick Purchase for Cash Accounting. Fixed issue with receipt generated by Quick Sale for Cash Accounting. Detect and report unbalanced transactions during the verify process. Fixed display issue on Current P&L and Current Balance when resuming app. Fixed generation of invoices for invoice numbers that have / characters. Initial Product Release to replace older Bookkeeping 3.6.7 app. This is a complete rewrite from the ground up with everything that was in Bookkeeping 3.6.7 plus a whole lot of improvements and support for multi-user synchronisation.